Next week, California's Silicon Valley will take center stage as host to Super Bowl 50. Its Levi's Stadium has been touted one of the world's most advanced sporting facilities complete with its own mobile app for in-hand instant replays and foodie hotspots like Michael Mina's Bourbon Steak that touts a members-only club offering free-flowing liquor and premium viewing perfect for hoodie-wearing CEOs. But football, start-ups and techies aside, an incredibly affluent - often boho-enclave exists just 45-minutes south of San Francisco that may teach you a thing or two new about Silicon Valley. From Palo Alto to Los Gatos, there are more than a few familiar luxury hotel brands vying for those midweek corporate expense accounts. In Menlo Park, however, you'll find the best option at Rosewood Sand Hill perched atop the infamous Sand Hill Road - Venture Capital's own version of Rodeo Drive. 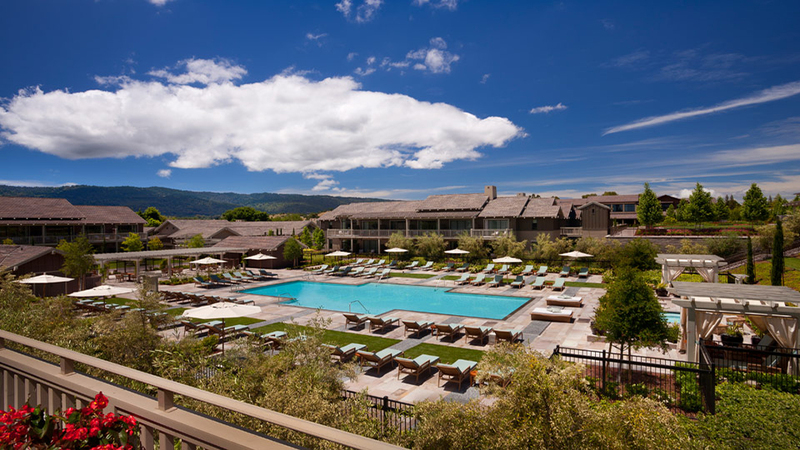 Nestled amid 16 lush acres in Northern California, Rosewood Sand Hill enjoys stunning views of the Santa Cruz Mountains, an unexpectedly posh pool-scene and Madera, Rosewood's much lauded in-hotel restaurant. Its proximity to the nearby tech and business hubs make Rosewood the go-to spot for everyone from lunching tech wives to newly minted billionaires looking to show-off their new, red Lamborghini after dark. Around the corner from Menlo Park, Palo Alto is home to Evvia Estiatorio sister restaurant to SF's Kokkari Estiatorio - the city's best Greek restaurant. Think fresh Mediterranean cuisine paired with a buzzing social scene where a 7 PM dinner sitting books out 4 weeks in advance. Further down the peninsula, you will find quaint eateries such as Bumble with its farm to table cuisine and chic bakery that’s co-owned by Anne Wojcicki, the Founder of 23-and-me and former-wife of Google's Sergey Brin. Even further south you stumble upon the charming town of Los Gatos with its charming Main Street of storefront retail, cafes, and more casual dining. It's here you'll also find Manresa, the 3-star Michelin farm-to-table culinary powerhouse by chef David Kinch's that many would snub a ticket to the Super Bowl for just to get a reservation.